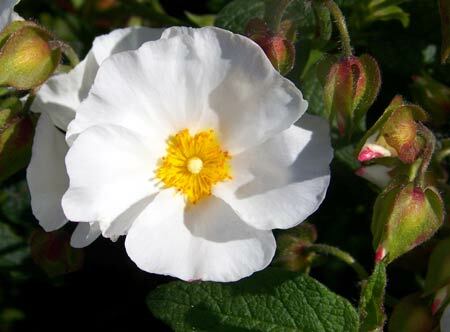 Cistus or Rock Rose are evergreen and provide a blast of colour in early summer. 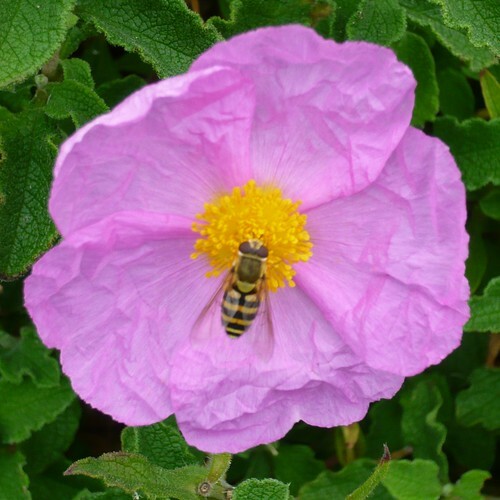 The flowers of rock rose are short lived, but, a healthy plant can provide a multitude of new flowers every day throughout high summer. Well Drained soil. 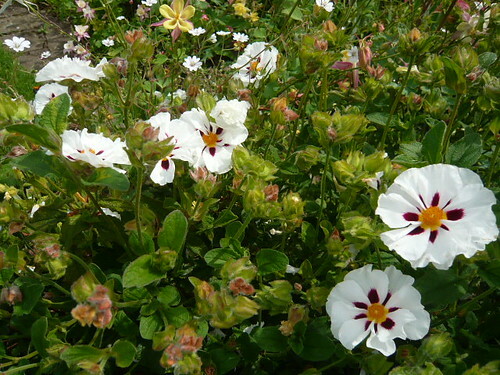 Rock roses are susceptible to root rot. If necessary add grit or sand to the base. Full Sun (Rock roses originate from the Mediterranean.